Let's welcome back Doris now that Spring has arrived. There's a little bit of work to do on her. A bit of trim has come off the back and she'll need a good service, and although she was built in 1955, we always run her through an MOT. Cars built in 1960 and before are exempt for some strange reason as you'd have thought that the older they are, the more sensible it would be to have an MOT. It's like not bothering to have a medical because you're old I always think, but hey ho. as she does every year." If you'd like Doris at your event, just give me a call. A local company - Michael Graham and Co - always have her at their outside displays, at places like the Bucks County Show as not only does it pull people into their stand, but she is forever being photographed. If positioned correctly means that the logo of Michael Graham is pushed around social media, so for £150 a day (plus mileage), which is what I charge, it's worth it. 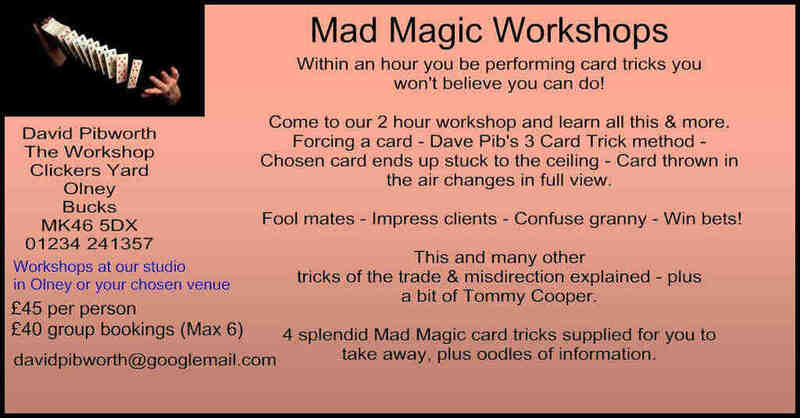 Plus if I stay with the car, I'm always good value with a few magic tricks, which I never leave home without. Of course, I also drive her around just for fun, which means she is never going to be a museum piece with all the perfections required to make her in 'concourse' condition, but she is a real 'goer' as they say. I get chatting to all sorts of people when I'm out and about in her, and that's what it's all about. So do come and say hello if you see me.